Born in sunny Sacramento, California back when David Bowie was king, Before becoming a teacher, I worked as an illustrator and cartoonist. After many years in San Francisco, I currently live in Santa Rosa with my husband and cat. I make drawings, oil paintings, and prints from my Mission District studio. Recently I have finished a series of roller derby and pop-culture themed works, and I am currently working on an original graphic novel. secondary school art teachers encouraged and inspired me to further develop my interests, and in the process made school a place I wanted to be. sense of the world around them. My responsibility as a teacher is to facilitate students’ development of creative and critical thinking skills. I provide students with opportunities to enhance their observational abilities, and to build artistic skills and practices for a lifetime. I set high standards of expectation for every student. I believe in building a strong classroom community in which students are respectful and supportive of each other. I appreciate that learning is a collaborative act between student and teacher, and enjoy what my students have to teach me. I think of my students not as “art students,” but as young artists applying what they learn in my classes to become better problem solvers. 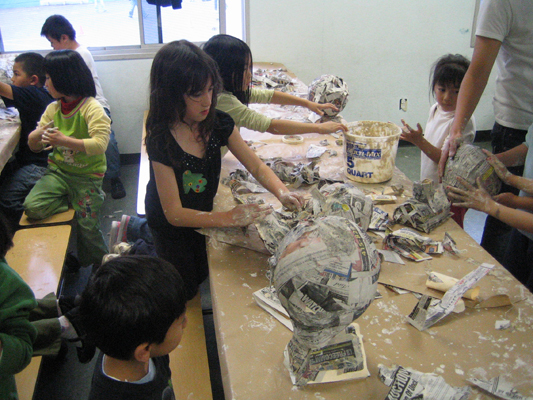 These young artists will learn the same strategies and processes that adult artists use. fundamental tools to support artists’ conceptual strategies. Artists need not just to know how to draw; they need to have a purpose for drawing. They need to be able to create artistic problems to solve, and be able to navigate the complex visual culture around them. Students need to solve real-world problems that are meaningful to them. They also need to be exposed to ideas in contemporary and historical visual culture from a variety of artists and perspectives. I believe in providing my students with a broad base of opportunities and concepts to explore, and that this exploration is far more important than the end result.